We have finally done it! After a long time, we are releasing a brand new theme called Compositio. As some of you know, we name our themes based on Latin. Compositio is a two column theme, made to for those who want to put their content at the front with a unique light blue design. Random square shapes are the defining graphics of this theme. They are used throughout the background, bringing a special rhythm to the theme. A special feature of this theme is the logo changer. ( Thanks to Munzir Rosdi). You can use the default WordPress setting (‘blog name’) or you can use your own logo. Upload your logo in the root folder of Compositio theme and name it logo.png. You can also use the PSD Logo Template in the source folder of Compositio Theme. (Image limitations: No more than 590px/85px). If you want to activate this option go to: Administration Panel > Appearance > Logo Options, and select logo type. The theme is widget ready so you can use it as you like. Also we customized the CSS for the default widgets to match the site style better. The theme is using a few plugins, with some already integrated into functions.php, so there is no need to install them. The only plugin you need to install manually is FlickrRSS. 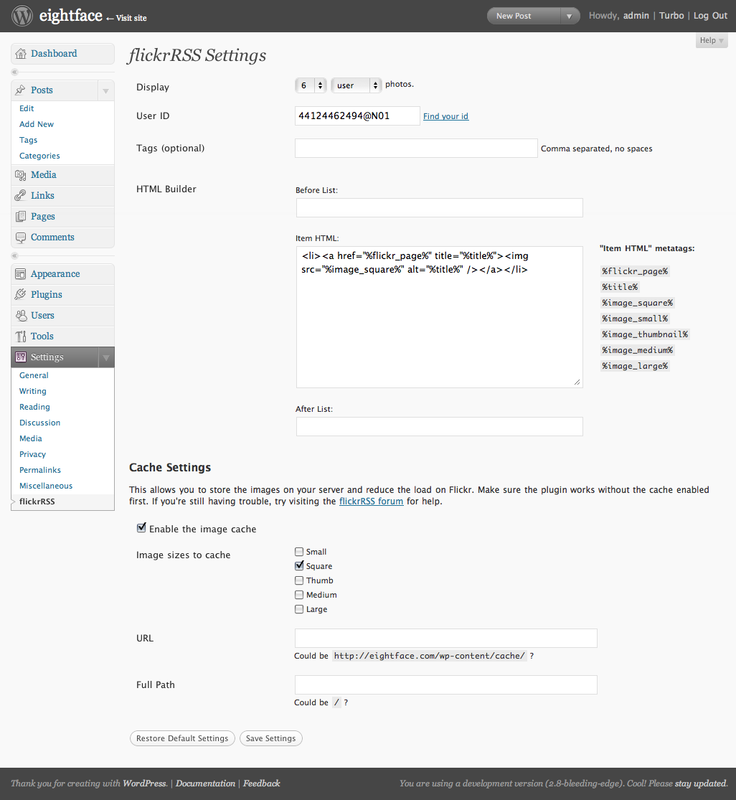 (FlickrRSS plugin is in the theme folder) (see the demo). Also I would like to mention that this theme is sponsored by our own new business, Premium Themes. If you don’t like Composito theme you can buy one from there. :D.
This work is licensed Creative Commons Attribution-Share Alike 3.0 License. This means you may use it, and make any changes you like. Just leave the credits on footer if you respect the designer’s work. For Commercial use or credit removal please contact us. Absolutely beautyful theme. Keep up the good work. How can I control the number of posts shown in the main page and the archive pages? for exmaple, I want to show ALL posts of a certain category in its page, and ALL posts from a specific month in the archive page. How can I do that? this also activates the Aachive.php page to create automatic Author pages. if you just want the author name, instead of a link, simply use the author in the php tag. Thank you very much for the great theme! Thank you for the extremely helpful tutorial! I’m just shocked possibilities of the topic. For my problem, it went just perfect. As the saying goes, no frills.